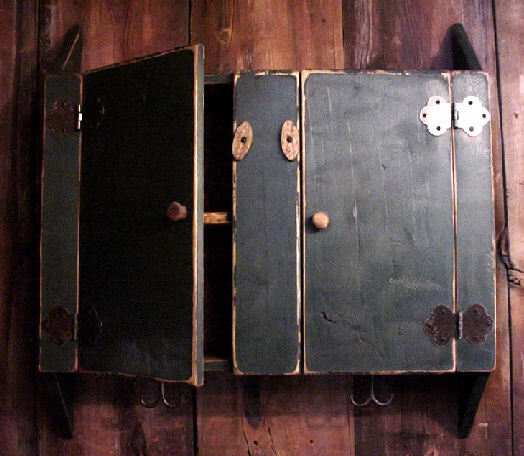 This is a copy of an old Vermont Wall Cabinet. 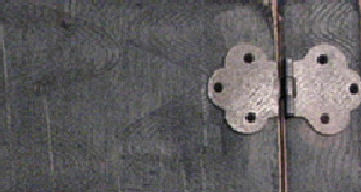 It has hand made hinges and antique hooks (hook design will very). There is a unique wavy design in the paint that really adds to the looks and the... uniqueness. See the wavy lines in the paint?